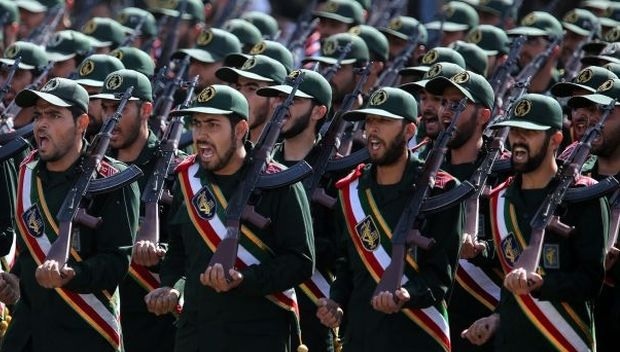 The Trump administration is preparing to designate Iran’s Islamic Revolutionary Guard Corps as a foreign terrorist organization, the Wall Street Journal Friday quoted U.S. officials as saying. “If the Revolutionary Guards are placed on America’s list of terrorist groups, we will put that country’s military on the terror blacklist next to Daesh [Islamic State],” Heshmatollah Falahatpisheh, the head of the Iranian parliament’s national security committee, tweeted. The impending decision to designate the Revolutionary Guard as a terrorist organization comes after a surprise announcement from the State Department’s Brian Hook last week, who revealed that Iran is responsible for the deaths of more than 600 American service members in Iraq, higher than the previous estimate of 500, according to Washington Examiner. Pompeo says that “the Islamic Republic of Iran is not a normal state” because “normal states do not support terrorism within their armed forces” like Iran does with the Revolutionary Guard. Set up after the 1979 Islamic Revolution in Iran which overthrew Iranian monarch Mohammad Reza Shah Pahlavi, the IRGC is Iran’s most powerful security organization. The IRGC is in charge of Iran’s ballistic missiles and nuclear programs. Tehran has warned that it has missiles with a range of up to 2,000km, putting Israel and US military bases in the region within reach.